Different cosmetic treatments are available to rejuvenation and resurface the facial skin. One the important options is vampire facial treatment which is not only easy to take, but also delivers guaranteed results. Mean to say, a vampire facial is an easy, safe, short, effective way for the facial skin rejuvenation. It does not cost much and here is how much vampire facial cost in Dubai. Please continue reading to know more about it. With many options available for facial skin rejuvenation, people often become nervous while choosing and method for the facial skin. Do not confuse vampire facial with other options as it a unique and effective approach to overcome different skin problems. This unique technique is also known as PRP (Platelet-Rich Plasma) therapy. In this method for skin rejuvenation, the PRP or plate-let rich plasma is applied to the facial skin to expedite healing and promote radiance. The PRP is extracted from the blood of the same person. Before applying the PPR to the facial skin, microneedling technique is used to create micro injuries. The creation of small punctures opens the pores and removes the impurities such as excess oil, bacteria, dirt, and dead skin cells. Here is some discussion about the price. It is worth mentioning that vampire facial is offered by many clinics and individuals across the UAE. You may have noticed that the cost of this skin rejuvenation method varies from provider to provider. Why different people charge a different price for the same procedure? The answer to this question is simple; the cost depends on different variable factors. Mean to say, different clinics and individuals use many factors to calculate the cost of vampire facial. For example, the cost normally depends on the condition of the face, the expertise of the professional, the location of the clinic, the number of sessions, and other factors. Due to this reason, the treatment price varies from person to person. The average vampire facial cost in Dubai is 3,000 AED but the Euromed Clinic Center Dubai offers it at a reasonable cost. The cost of vampire facial in Dubai may be different for different people. It is due to the reasons that the cost of this treatment is calculated using different variable factors. Some famous dermatologists charge a high price for the treatment; whereas, regular providers charge a reasonable price. The Expertise of the Professional: The qualification, training, and experience of the professional plays an important role in calculating the treatment price. Mean to say, the fee of a dermatologist is higher than the fee of a trained professional. The Number of Sessions Needed: Some people have different problems and two or more sessions are required to address all problems. The clinic will charge extra for additional vampire facial sessions. So the more the sessions are, the more the cost would be. The Geographic Location of the Facility: The location of the professional or clinic matters a lot. The healthcare facilities located in some areas in Dubai have got great quality standards. That is why they often charge more than the clinics located in other areas. 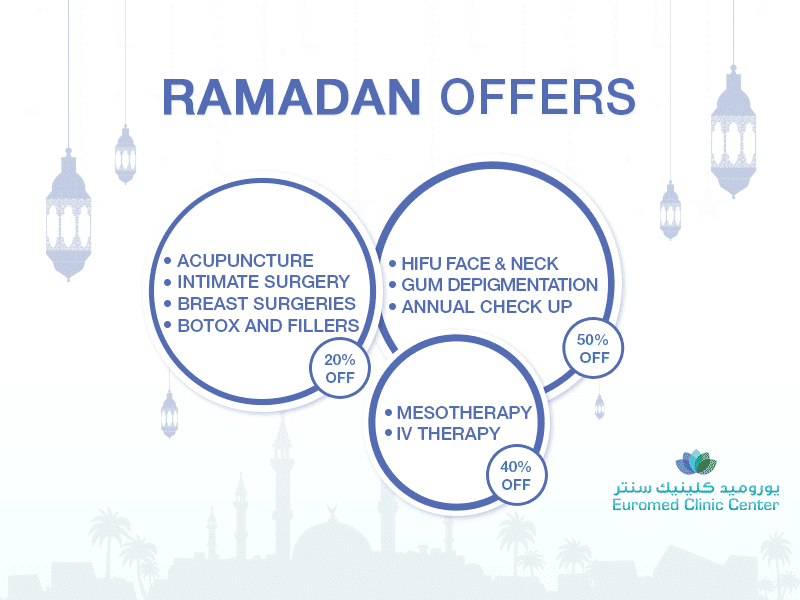 The Euromed Clinic Center Dubai charges a reasonable cost for this treatment. Our skin care experts have delivered promising results to too many patients in the past. You can be the next success story. Please feel free to get in touch with us if you want to learn more about this wonderful treatment. Please book an appointment now to know the exact cost in your case. If you are interested in vampire facial and want to learn more about vampire facial cost in Dubai, please contact us. The experts at the Euromed Clinic Center Dubai can help you rejuvenate the skin at a reasonable cost. Book your appointment now by calling us or filling the short online form.